This is a handsome sized F.H. Ayres dapple grey rocking horse from the Victorian or Edwardian era and would have been made in London in the late 19th century or early 20th century. It is guaranteed to be an original Ayres rocking horse. In a recent professional restoration, the horse has been fully restored structurally and has been painted, dappled and finished in the typical style of the period. To enhance the aged appearance, our restorer has applied both an ageing varnish and a special cracking varnish. This results in a faint cracking to the paintwork in the style often seen on old paintings. F.H. 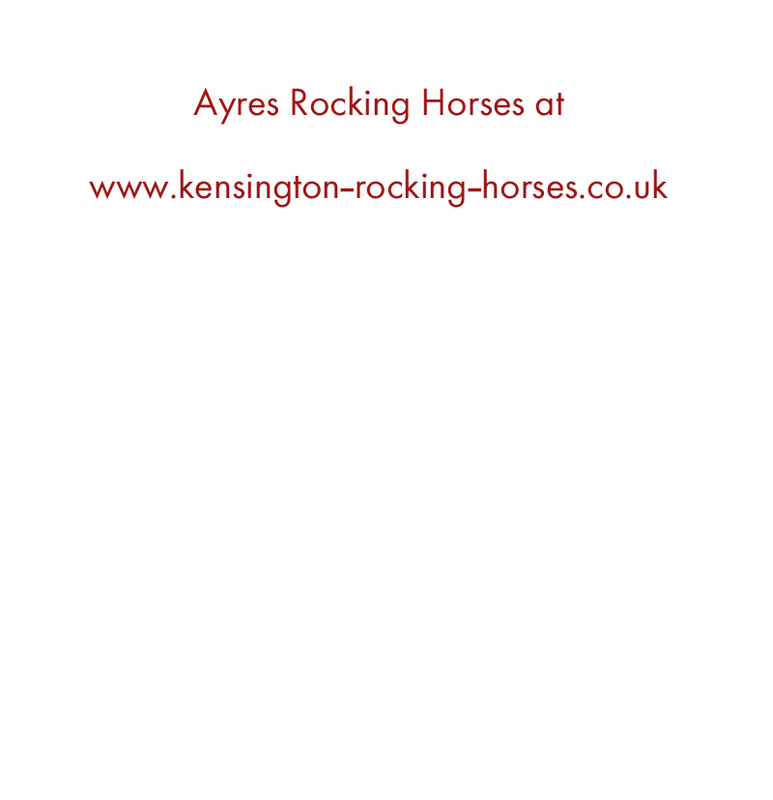 Ayres was probably the most renowned of English rocking horse makers in the golden age of rocking horse making and Ayres rocking horses have enduring appeal. This horse is 48" (1.22m) high and the stand is 54" (1.37m) long.